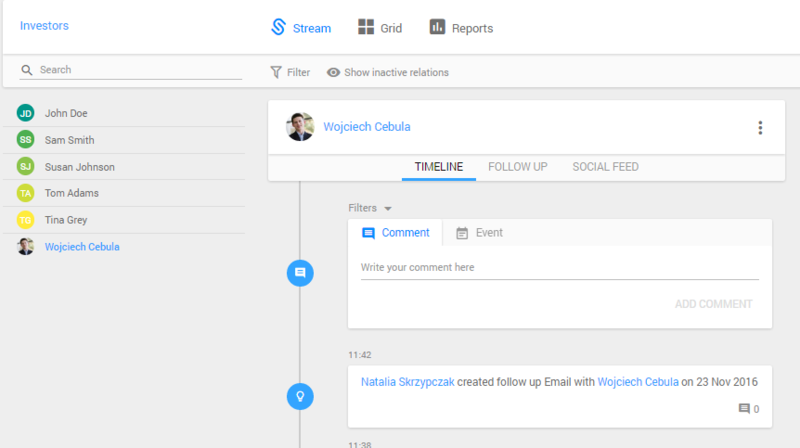 In InStream you can add events – phone calls or meetings to your timeline. 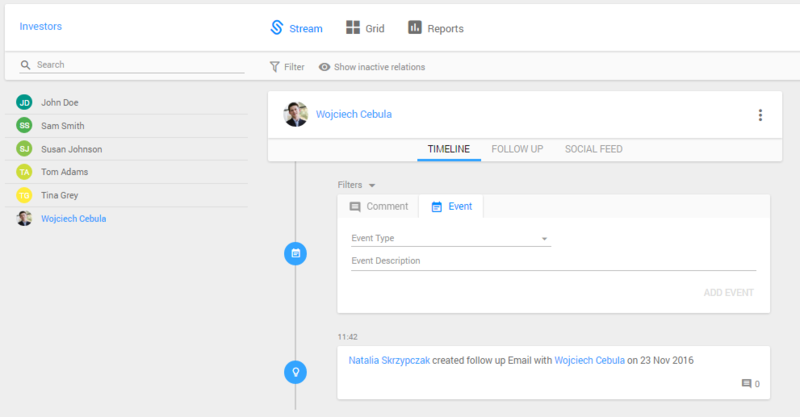 Adding events helps your teammates to keep up to date with the relation status and helps you monitor your business relation with the particular contact. Click on the right relations list, and choose the relation to which you want to add an event. Click on the “Event” button. Next, select the event type and add a short description. Then click on the “Add event” button. The event will appear on your timeline. Notice: If you will add an event: phone call it will have the phone icon on your timeline. Additionally, if you will add a meeting it will have the people icon on your timeline. Learn more about adding comments and follow-ups on your timeline.